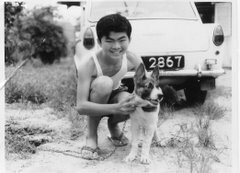 Back in the late 50’s and early 60’s, when television was not yet widely available in Singapore, our favorite entertainment was the movies. And our favorite movies … yes, you’ve guessed it – the Wong Fei Hong series starring the Kwan Tak Hing as Wong Fei Hong, Shek Kin as the villain, Cho Tat Wah as one of Wong’s disciples, Leong Foon and the beloved Sai Kwa Pau, the guy with the buck teeth and stammering speech as Ngar Chat So.. The story invariably ends with the villain’s defeat and repentance; but not before having to endure a long sermon from the Master. The early episodes were in black and white of course; but I recall that some of the later episodes had the last segments in colour. I suppose it was due to budget constraint. But nevertheless, my brothers and I had a great time watching these movies. 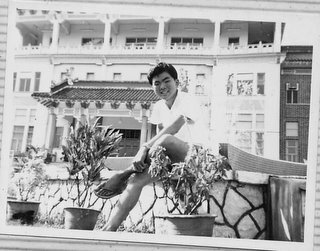 Our favorite theatre was the South Country Theatre, or Lam Kok （南国), located in Kampong San Teng (Bishan) along Braddell Road near to the new Raffles Junior College. 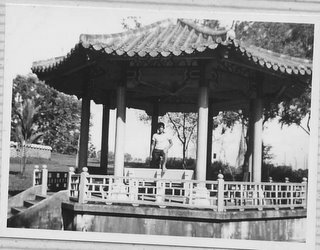 It was an open-air theatre, meaning that if it rains, you need to carry an umbrella. If the rain has stopped, you need to bring your own newspapers to place on the wet wooden benches . I remember the multi-coloured fluorescent tubes bordering the screen, and the occasional lizard crawling across our hero’s face. I don’t know why, but the songs they played left a deep impression on me. Often the songs were English pop songs sung in dialect. There was one particular song which was simply hilarious. Try to picture it sung in Hokkien to the tune of a popular Harry Belafonte tune. Another theatre that our father liked to bring us to was the Bright Cinema (光明) at Paya Lebar Road. After the show, we would adjourn to Lorong Tai Seng for the delicious herbal mutton soup. To this day, my brother David cannot resist this delightful dish in spite of the high cholesterol content. Sometimes, we would tar-pow the fried hor fun from a stall along Paya Lebar Rd. I remember this fat chef who liked to clean his wok with some kind of bamboo brush. To this day, whenever I smell the aroma of fried hor fun, I think of him and his big round ladle. Ah; the glorious food – this topic deserves a separate blog. Other theatres we frequented, though less often were the Imperial Cinema at Thomson Road, near to the present community club near to the SPC petrol station; and one at Macpherson Road. I cannot remember the name but we saw the Walt Disney cartoon, The Sleeping Beauty there. 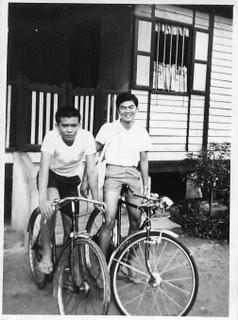 Later, during our secondary school days, my brother David and I liked to go from our school at ACS Barker Road to Hoover Cinema at Balestier Road. 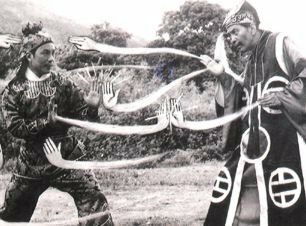 We saw countless Shaw Brothers kung fu movies there. 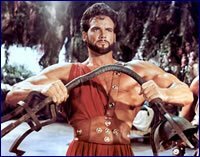 Then there was the Paramount Theatre in Seranggoon Gardens, where we watched many Hercules movies starring Steve Reeves. 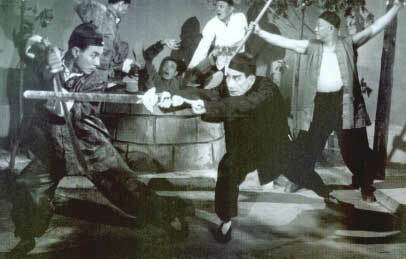 Once we brought our cousin from Johor Bahru, Meng to watch this incredibly boring movie (supposed to be Japanese samurai movie with lots of action; you know, the type where the hero defeats 5 or 6 baddies by wildly swing his samurai sword, and at the end of the fight scene, everyone remains frozen for a few seconds before the bad guys drop dead one by one.). The title was, The Purple Hood. Years later when I visited our cousin in Kuala Lumpur, he could still recall with fondness this horrible movie. 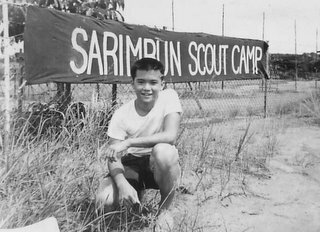 The advent of television brought a whole new world of entertainment for us kampong kids. 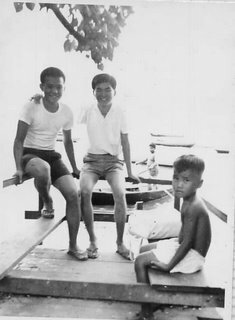 I remember this rich and generous family in our kampong who bought the first tv set. They actually placed the tv outside their house for the neighbours to enjoy. Every night, we brought along stools to watch from their front yard right until the Majullah Singapura. My favorite programme was Everglades. Other shows we loved were Rin Tin Tin and Lassie. 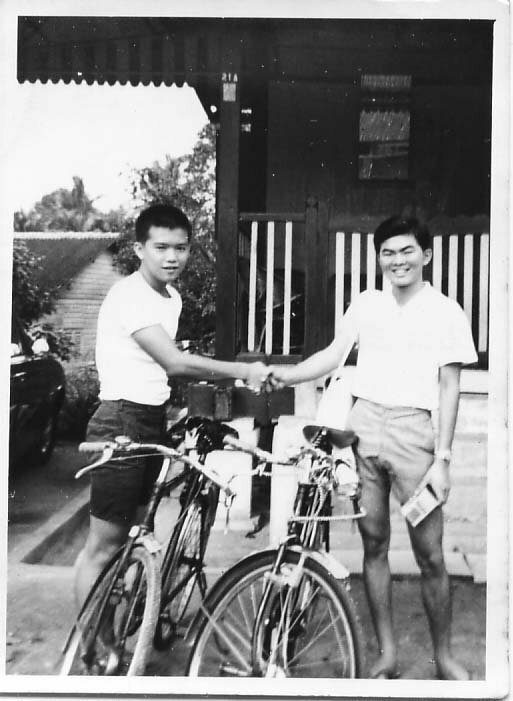 Back in late 1969, my good friend, Chu Chun Sing (Simon) and I had this crazy idea to cycle around Singapore. The date was 29 November 1969. I just finished JC1 (only 1 JC in those days), and he was in the Poly (also only one poly in those days, I think). And so we set off from my house in Lorong Kinchir, off Lorong Chuan one fine morning and although we did not cover the whole island, we did visit quite a few interesting places. We also took several photos using our family’s new Minolta camera. First, we rode through the entire length of Lorong Kinchir (kampong road), emerging on the other end at Upper Thomson Road, near to the present Bishan Park (I think). There used to be a rubber smelting plant thereabouts I recall. You could smell the rubber from miles around. Incidentally, the kampong folks’ name for Lorong Kinchir was “Kao Tiau Kio”, or “9 Bridges” in Hokkien because there were altogether 9 bridges where the road crossed the Kallang River. 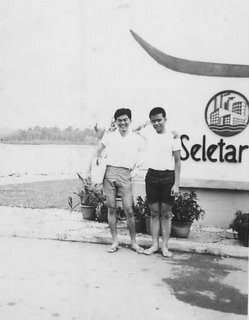 From there we headed north, stopping at Seletar Reservoir for some photos. After that we cut westward along Mandai Road to Bt Timah Road and then down to Chua Chu Kang Road and all the way to Lim Chu Kang Road. From there we headed north, detouring to visit the Sarimbun Scout Camp which Chun Sing knew pretty well being a scout. We reached the end of Lim Chu Kang Road at around noon time. This is about the only spot in our entire route that hasn’t changed much over the last 35 years. After lunch, we went down along Lim Chu Kang Rd stopping to visit a soya sauce factory owned by Chun Sing’s uncle. After that, we continued south along Jalan Bahar and turned west along Jurong Road to visit the Nantah where we took more photos. From there we made our way home; the exact route I cannot recall. We probably went along Jurong Road all the way to Bukit Timah, turned down to Adam Road, Lornie Road, Braddell Road, and back to Lorong Chuan and Lorong Kinchir. 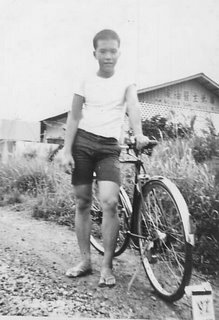 I remember we had a tough time cycling uphill along Adam Road where we had to stop next to the cemetery near the Sime Road junction because poor Chun Sing suffered leg cramps. As a badminton player (only a reserve on NJC school team lah – and even then, sneaked in by the back door. 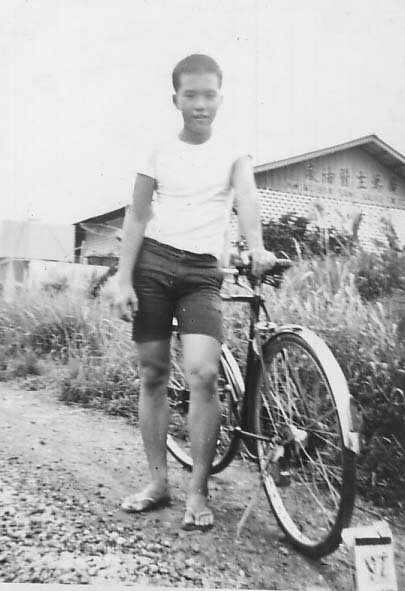 Will share the story another time), I guessed I had stronger leg muscles. But, my weakness was the sun. The next day, I had fever and had to rest for the whole day. On the other hand, my friend being a scout had no problems with the sun. It was indeed a memorable trip. 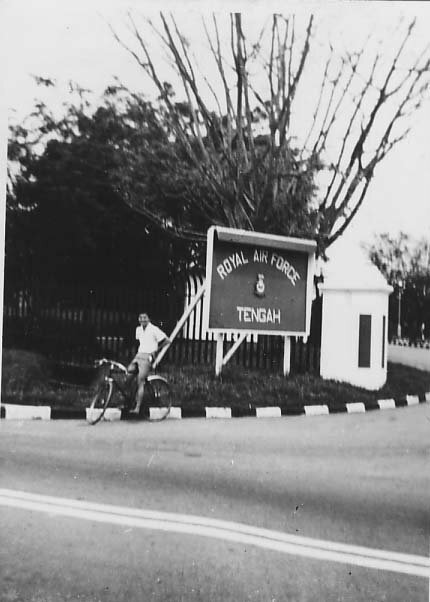 We were pretty proud of our achievement because it was no mean feat, considering that we rode kampong bicycles and not the hi-tech bikes kids ride these days. 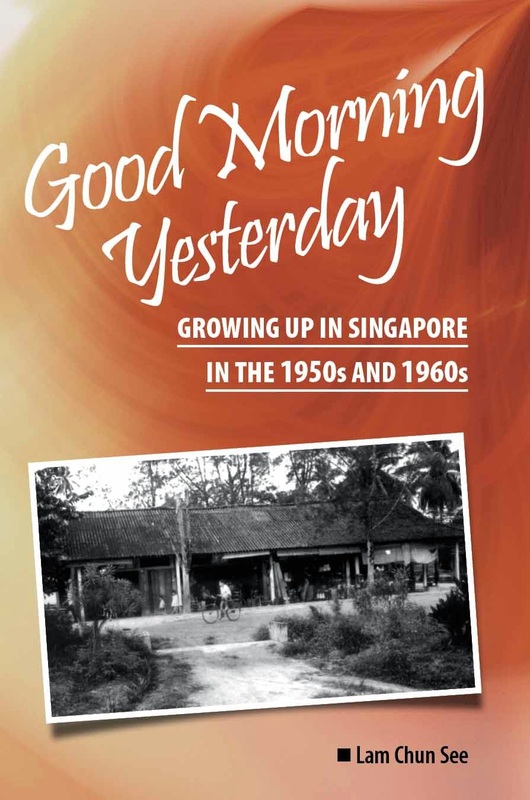 For the younger readers, I hope you enjoy the photos of your Singapore of yester years. But I must apologise that the photos are mainly of us, and not enough scenery. Back then, we never dreamed that our photos would be posted on the internet in the year 2005. 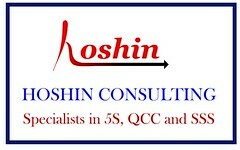 Recently I was in Myanmar for a business trip. On my way back to the airport, I shared the hotel car with a Japanese visitor. During our conversation, I remarked that Yangon was very much like Singapore during the time when I was a kid. Many of the old British style buildings resemble those in Singapore. He was surprised and said that Singapore must have changed a lot during the past few decades. Yes, and too fast, I replied. 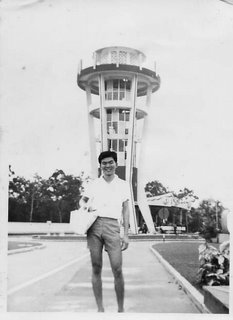 It occurred to me that life in Singapore, the physical landscape especially, has changed a lot during our lifetime. There are very few spots that have not changed during the past 30 years. 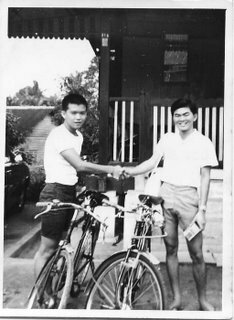 I have therefore started this blog to share my memories of life back in the 60' s and 70's when we were kids. If you are my age group, I am sure you too have a lot to share. Whenever, my old and friends and relatives get together, we like to reminisce about the good old days. Hope you like the articles I put up here. The memories you left behind. The times of your life?"